I don't think I ever got around to taking the obligatory state-capitol photo in all the times I've visited Montpelier. Obligation fulfilled. This building was built after the previous (1833) State House was destroyed by fire in 1857; the architect was Thomas Siloway. Siloway's design incorporated the still-standing granite portico designed by Ammi B. Young for the 1833 building. 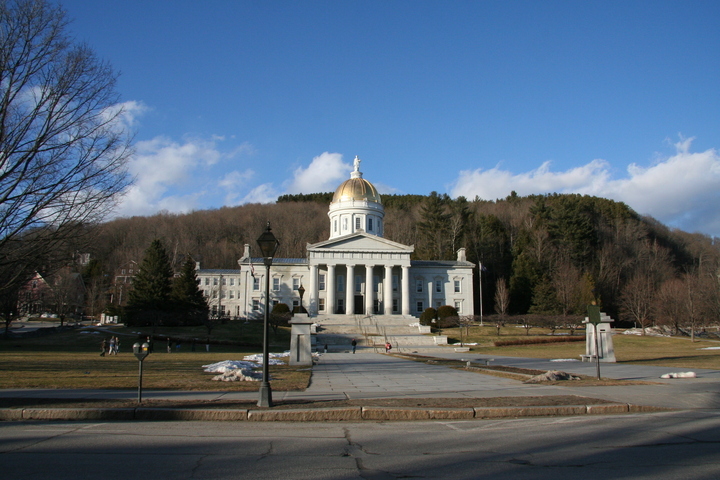 The current building is the third State House, but only the second on this site. The dome has been covered in gold leaf since 1907.